Looking for high quality, affordable flooring for sale in Taunton, Somerset? Then you have come to the right place. Here at Les Marsh Carpets, Taunton, we sell an outstanding range of carpets, natural flooring, vinyl and luxury vinyl tiles, suitable for domestic and commercial use. We have an extensive showroom where you can browse our samples and speak to our professional staff. Furthermore, we offer complete installation services and will fit your new flooring with care. So, if you are in Taunton or surrounding areas of Somerset or Devon, visit Les Marsh Carpets and you will find flooring to suit any situation or budget. Our impressive two floor showroom here in Taunton is brimming over with displays of flooring in a wide range of fibres, textures and patterns and in the latest ranges of colours and designs. 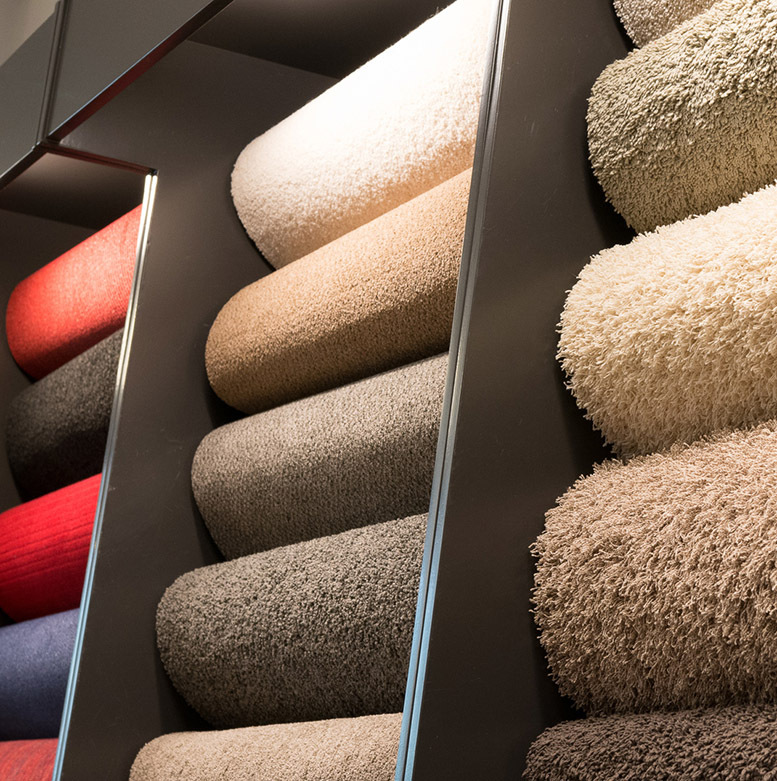 Downstairs are our wool-based carpets and upstairs we have man-made carpets, our vinyls and our Karndean display boards and samples. Take the opportunity to borrow samples of the flooring you like to make sure it looks great with your colour scheme at home before you make your final decision. We also have some special offers on carpets and vinyl, so why not visit us to find out more? With over 37 years of experience, Les and his team are on hand to offer professional and knowledgeable advice on all aspects of carpet and vinyl flooring. We offer a free, no-obligation measuring and estimating service. This can usually be arranged within a few days of your enquiry, with prompt turnaround to get the estimate to you as soon as possible. Les Marsh Carpets provides a comprehensive vinyl flooring and carpet installation service at a date and time to suit you. We like our customers to be completely satisfied with their new flooring so we provide an aftersales service for your further peace of mind.